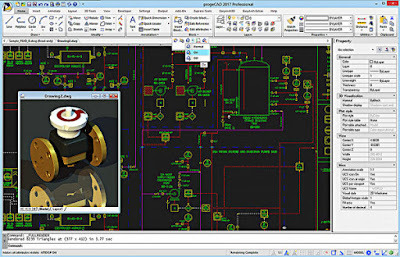 ProgeSOFT uses IntelliCAD Co-op as a foundation for progeCAD, its leading, low cost 2D/3D CAD engine. ProgeSOFT produces progeCAD, the leader in low-cost 2D/3D CAD technology. ProgeSOFT serves their customers' needs through products, services and solutions that deliver long-term benefits and meet the highest standards of quality, reliability and flexibility. ProgeSOFT works closely with customers to create integrated solutions that provide competitive strength at an affordable price. ProgeSOFT is dedicated to providing engineers, designers and other creative professionals the tools they need to design the world's greatest products. progeCAD is used all over the world; in over 70 different countries, translated into 13 different languages and used by companies such as ABB Group, Boeing, Gazprom, BTicino, Campari, Colgate Palmolive, Nestlé, Rio Tinto, Nokia, Honda, GeWiss, Grand Bahama Shipyard, Nasa, BBC, Luxottica, Pirelli, RedBull, Schneider Electric. ProgeSOFT is one of the founding members of the IntelliCAD Technology Consortium, placing trust in the project from the very beginning. ProgeSOFT has been developing and marketing CAD solutions for more than 25 years. The company’s current flagship product is progeCAD Professional, a 2D/3D .dwg compatible CAD package with consistently updated features and tools offered to customers. Hundreds of thousands of designers, engineers and architects, and small companies and industrial groups, have chosen progeCAD, the versatile, reliable and stable design tool. Native .dwg file support is one of the key features that enabled progeCAD to evolve into a complete and highly competitive CAD package on the market. The IntelliCAD engine and the progeCAD platform, thanks to the shared source code policy, generates numerous benefits in terms of software innovation, speed and performance. The powerful platform allows the company to concentrate on the users’ requirements and develop and integrate ad hoc tools. For example, one ad hoc tools is EasyArch 3D, the 2D/3D parametric plug-in, facilitating the design of buildings and interior layouts and furnishings. Quick revision and project creation are of vital importance nowadays and these processes are made easier with the PDF Import feature; the integrated converter allows users to convert .pdf vector files into .dwg/.dxf editable drawings. Lines, forms and text imported from a .pdf file can be modified in progeCAD like any native CAD drawing object. "To join IntelliCAD was a hazardous, fascinating and rewarding experience, all at the same time for our company. IntelliCAD gave us an excellent CAD product, and after having put the finishing touches to it, we brought progeCAD to the cutting edge of low-cost CAD technology." The ITC and ProgeSOFT collaborate to create a powerful CAD program. ProgeSOFT appreciates the open nature of the ITC organization, its clear structure and continuous support. 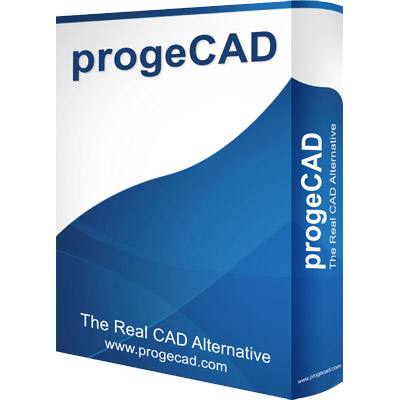 This cooperation let ProgeSOFT create a solid globally-known CAD brand name: progeCAD. "We came to a decision to take part in the ITC and to embark on an intensive collaboration with the consortium in the natural course of events; it was in line with our philosophy to supply design professionals with independent CAD solutions distinguished by high quality and innovation. Taking advantage of the collaborative efforts of the ITC development team and different consortium members, we are able to focus on the development of specific functionalities and software localization for various global markets."